Dig (Directions in Groove) is a multi award winning band from Sydney. They first emerged on Sydney music scene in the '90's and quickly stormed the dance charts. 'Strangers Talking' is unmistakably DIG at their best; their unique blended interpretations of smooth funk, thumping bass, twisting grooves along with the gorgeous tones of guest vocalist Laura Stitt, is an essential chill out track for this century. This is a Jazz quintet / chordless / pulse orientated / with melodic themes / improvised solos . Contemporary with strong associations to swinging small band jazz style. Steve Russell, composer and one of Australia's finest jazz pianists, with guitarist Matt Smith (Thirsty Merc, The Strides) bassist Greg Lyon (Crossfire) and drummer Scott Hills (The Flood, The McClymonts). A frenetic, high energy composition in 5/4 time, with improvised solos from Matt Smith on guitar and steve Russell on piano. Steven Rossitto is a unique performer. At just 18 years of age Steven is already being compared to his idol “The Voice” Frank Sinatra. ‘Saturday Night’ is the opening track on Steven’s debut album ‘Night & Day’ which is released August 17. Debut album from dynamic Australian gypsy jazz quintet, fresh, engaging arrangements, soulful vocals, swinging instrumentals. Hot Club sounds plus atouch of the blues, Latin rhythms and modern elements too. A quirky and engaging instrumental written by German manouche guitarist, Lulu Reinhardt. The melodic gypsy jazz styling and joyous up tempo vibe send you to the heart of Paris. Guitarist, Pete Malone kicks off a round of great soloing interweaving saxophone and accordion with hot violin to bring us home. Peon’s third release, Inter Alia, sees Melbourne’s drumming duo recording with Lloyd Swanton on production and bass duties and the master of the mixing desk, Casey Rice, ensuring the sonics. Beautiful improvised ballad with a dub groove thing going on. A feeling of surrender sets up the torrential music that follows on the album. Heather Stewart Band recorded by 88.3 Southern FM. The Glamma Rays are a vocal group of four gorgeous women who sing original, luscious retro harmony music; a blend of A Capella, pop, jazz, and smooth 60's sounds. A moving and passionate song about self love leading to romantic love. Finally My Heart is about finding the man that you want and deserve, or being that man. 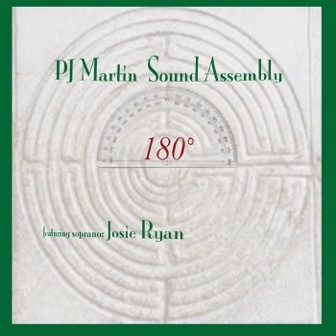 Award winning arranger/composer and guitarist - Peter J Martin - presents a music that fuses jazz, blues, latin and contemporary classical concepts. Engagingly interwoven to sound deceptively simple. A distinctive sound in chill-out jazz. Georgina Pollard is a quirky, fun, soulful singer/songwriter residing in lovely Lismore, NSW, Australia. Her lyrical voice serenades you in an often whimsical manner! "How to Film a Feast" is a little ditty about someone who has developed a slight crush on a particular celebrity chef and loves everything about the way this chef performs in their shows, the types of food they cook and the way they dress and present themselves.